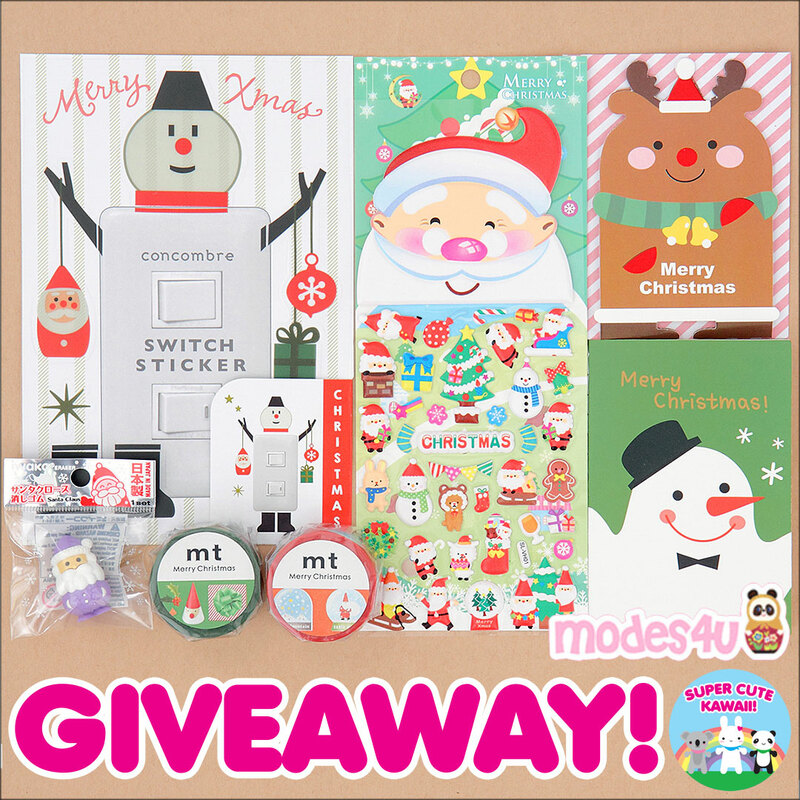 Modes4u Kawaii Christmas Stationery Giveaway - CLOSED - Super Cute Kawaii!! 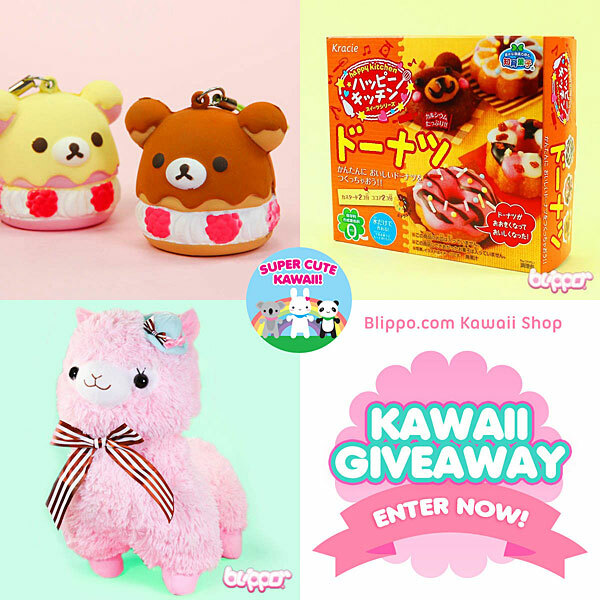 Time for a new giveaway, this time with Modes4u, an online kawaii shop with a huge range of character goods, stationery, craft supplies, squishies and more. 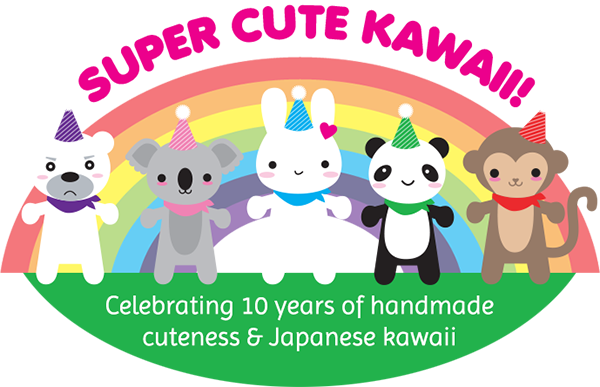 The holidays are coming up fast and one lucky winner will receive this set of kawaii Christmas stationery. It includes a snowman light switch sticker, puffy stickers, Santa Claus Iwako eraser, snowman mini notebook, reindeer and Santa cards and 2 rolls of mt washi tape. 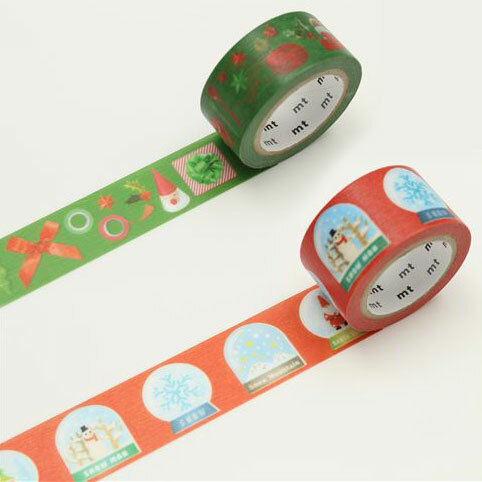 Here’s a closer look at the washi tape designs – snow globes and wrapping! To enter the giveaway, visit Modes4u and then leave a comment on this blog post telling us Which products would you put on your Christmas wish list, and why? Then use the Rafflecopter widget below to register your entry and open up more chances to win. Confused by Rafflecopter? Here’s a great guide. You must answer the question in your blog comment and try to be specific. If you are under 16, please check with a parent or guardian before entering. This giveaway is open worldwide. Prize ships from Hong Kong and is worth approximately $22 USD. The giveaway closes on Tuesday 4th December at 10pm GMT and we’ll announce the winner on the blog the following morning. Good luck! 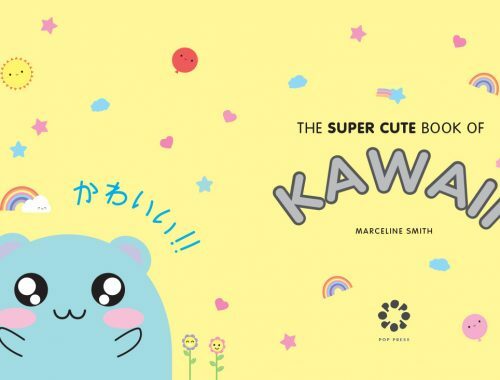 Marceline is the co-founder and editor of Super Cute Kawaii and also designs cute character goods as Asking For Trouble. Having visited Japan five times, Marceline is enormously inspired by all things Japanese and especially loves bunnies, space and any kind of food object with a happy face. Follow her on Twitter or Instagram. This is so cute! I love the lavender Santa! Stationary is my favorite thing ever! My Christmas list is mostly just full of the people i hope to be with~oh!and snow!gosh, i hope there’s snow! I would love to have the Washi tape. I’m a huge fan of Washi tape and these beautiful designs would really brighten up my holiday correspondence. I would love the purple pansy fabric. It would make a great bag! I would put reindeer and Santa cards in my christmas list, those cards are very beautiful and want to write down my greetings on them and post to my best friends. Christmassy cuteness! I would put the DIY kits on my list as it’s always fun to have a crafty present for Christmas and I’ve always wanted to try one! Also the washi tapes as I am a washi tape addict, what can I say! Greetings! I’ve been a loyal fan for many years of Modes4u, around 3 or so. I’ve got quite a lot of items i.e. stationary, bento boxes, and the like. I love SuperKawaii blog,where I get all sorts of ideas like DIY origami desk containers! So fun! You asked what I’d like on my Christmas list. Jinbesan whale shark sticker sack by San-X from Japan, light turquoise unicorn letter set and maybe a post card. 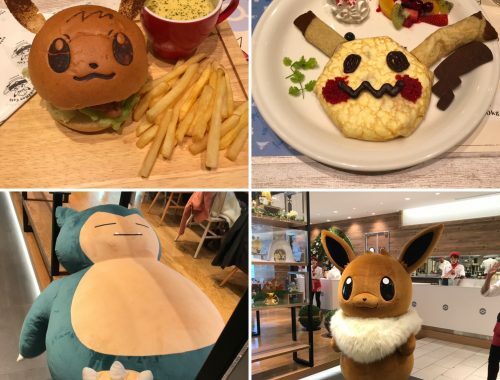 I’d gift the Squishies to my children, as they help them relax- particularly my special needs son. I don’t use today’s technology to converse much with long distance friends. I still write letters by hand. So, the letter and sticker sets are perfect for that. The letters become gifts,themselves. Thank you!!!! Were very similar. Both loyal kawaii fans. Where are you? You interested in penpalling with me? 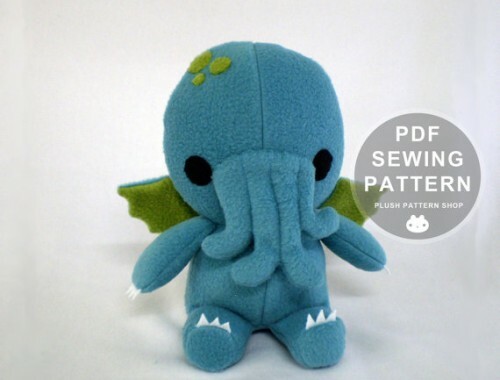 This squishy is onee of the cutest things I have ever seen. I want turquoise unicorn B5 notebook and cute bird squishies and washi tape. I need to take lots of notes and school and I think that squashies are great for get rid of stress. School is very stressful for me. 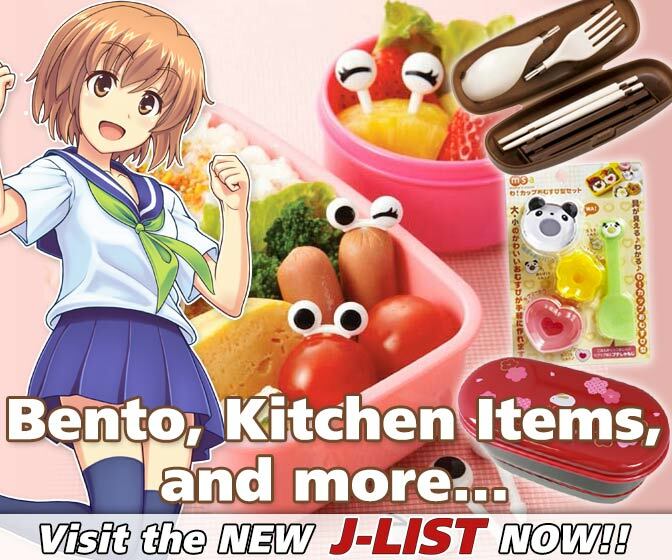 I would put the big stackable Kunoichi doll Bento Box and the two turtles relaxing figurine on my Christmas wishlist. I am loving the cherry blossom lunch bag and the San-X glitter bandages! I love cute plasters so much, they make a paper cut slightly more bearable! 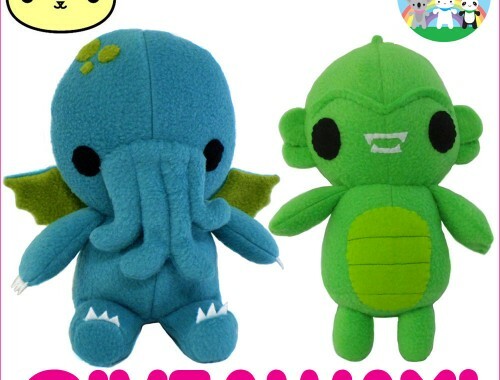 Both of those are going on my Christmas wishlist! I can see your previous comment has appeared so your entry will be counted. There may have just been a delay. “Sticky notes of a little girl and animals” and “Cute Santa Claus sleigh bear party glitter letter pop-up Christmas card” would be great to have–I like them and all the printed items because of the cute, gorgeous graphics! I would choose washi tapes for my wish list because it’s quite practical and pretty to decorate and package your gifts with :) . They also come in handy for card making, crafts, i even have some on my wall around drawings I’ve done. Decorate notebooks, phones, diaries, even books you’re reading. Can make bookmarks and tags. I like the macaron squishy with Cinderella. Because I love the Cinderella story the most . Big stackable Kunoichi doll Bento Box Japan – becasue it’s very cute and useful at the same time! I would add the purple cat purse to my list! 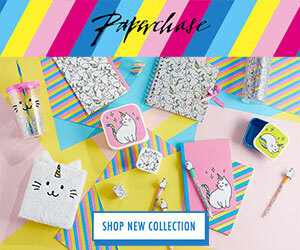 I would choose the unicorn pouch in white, white unicorn with pink moon and the squishy mini unicorn fold-out memo pad and sticky notes because I love all things unicorn related. 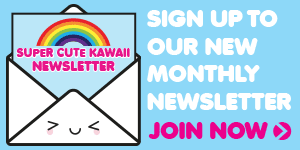 Sending lot’s of kawaii love. 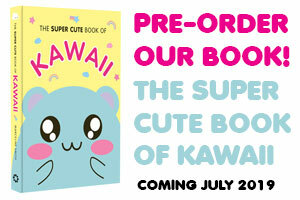 I’m so pleased for all of us that kawaii’s getting more and more popular in England. If you’re a kawaii penpaller im sure i could find my little twin stars unicorn papers and send you some. Its not an exchange. Just a gift. I never ask for anything in return. Don’t do swaps, just gifts. Im sure i can dig out more unicorn things. Besides im starting penpalling again after a few years off as my son got leukaemia at 2 in 2012. He’s in remission now but i’d love some kawaii fans as penpals. Congratulations again on the win. Isnt it fab these offer giveaways ? I just found it recently so was my 1st entry. Thanks to my xmas gift of a new phone. Thanks to my husband. He’s my carer. I became disabled during pregnancy 2009. Wheelchair user, electric due to joints. But I’d do it all again as for years, since 14 they said i couldn’t have children. So he’s my miracle, my 9 year old miracle. Miracles do happen. Thought I’d tell you a little about me so you know who you’d be writing to. I started a charity in 09 too so no woman should suffer this and/or become disabled hopefully again as i do all i can to help. No donations taken, as its only lil me. Dont have volunteers or trustees but thats not important if you really want to help all others. Ladies need to stick together and lift each other up. I write to anyone 16+ any genders, if you know anyone who may just need a friend. At times like these we all just need a friend. Love Christmas giveaways! Would get Christmas cards, washi tape, & stickers. So useful!!! My comment disappeared *sobs* been having trouble posting so just going to summarise. Kawaii saved me. When i became disabled not only did i become a collector of all things sweet and kawaii but i made friends with penpalling. They help me with my joint condition and lack mobility so kawaii stationary is my gift back to them. I’ve always loved stationary and i collected it as a little girl. It reminds me of an innocent happy time. Like anime happy sugar life, our hearts are empty jars needing to be filledwith sweetness. Life is hard we all have dark days and when im dressed kawaii or even when i send an important official letter sealed with deco tape, it makes people smile! What more could you want than to use innocent kawaii sweetness to brighten someone somewheres monotonous day. As i lost my previous comment here are things i like. 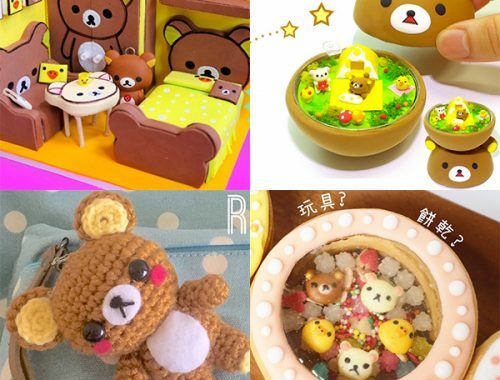 Neko, kuma, cat or bear items. Kuma pencil case with chain handles. Red riding hood and fairy tales, dress up girl stickers and girl colouring book. Korilakkuma.sanrio. san x. Q lia. Gloomy x hkt. Hello kitty. My melody. Unicorns. Note books, there was a5 cream pink with peeking 2 grey striped cats. Hardbavk. With strap by mindwave. Washi or deco tapes. Cute pencil toppers. Stationery sets. Not anything disney but kawaii rapunzel or cinderellas good. ♡ Thank you for this opportunity for us kawaii fans. Thanks again! If i could add any product to my wishlist it would be the rilakuma and friends stackable bento boxes for cute lunches! Washi tape is always in my wish list. 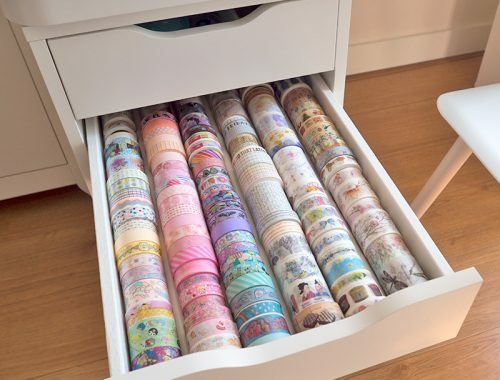 It is impossible to have too much washi tape! I would love to have the Kracie Popin’ Cookin’ DIY candy kit gummy animals because I think it would be super fun to do with the littles. I would love anything Hello Kitty or some Poppin Cookin for my daughter for Christmas. I really like the Puni Maru Super Jumbo Cheeki Banana squishy. Soooo cute!